Between the ages of 9 and 21, I lost my father, my mother, 3 grandparents, a great aunt, 2 dogs, a cat and a horse. Oh, and I had a Step Father for a bit, and my Mum divorced him when I was 13. Grief moved into my heart at a very young age and it’s been a long journey learning to live with it. I witnessed so much death during my formative years that it has become fascinating to me. And what is fascinating to me seems like something that people rarely want to talk about, so I figured I’d set out to help people talk about it. I decided to develop my second year project for my Masters Degree in Spiritual Psychology on the topic of grief. I have read several books on grief, volunteered for a grief charity, sat in grief support groups and got trained to lead them. I’ve frequented grief themed events and I’ve interviewed people about their own experiences of death and grieving. This has been an enriching experience, and has helped me connect the dots of my own lengthy journey with grief. Throughout my research, there are several common questions that I have seen people grappling with. How will I know if I’m experiencing grief? What does grief look like? What does it feel like? How long should I be grieving? Will it ever completely go away? How do I keep my life going while I’m grieving? I don’t believe there is any one answer for each of these questions. I can say, from my experience, that accepting grief into my life, as a welcomed visitor, has made it easier to live with. The more I lean in to the experience of grieving, the more I can reach reconciliation and appreciation for my past, present and future. For some, if they don’t deal with or understand their own grieving process it can backfire. They may think they’re ‘fine’ and just getting on with their daily life, but there is a link between our inside and outside worlds. Closing down part of our emotional side can cut us off from the desire to love and be in a relationship. Several people I interviewed (myself included) felt that their experience of death made it difficult for them to trust in relationship for fear of one day losing that person and having to relive the trauma of when someone close to us dies. I also have found that, particularly when a parent dies there is a part of us that that can stay stuck at the emotional age of when that death occured. Unless we have spent time nurturing that younger self inside of us, and learning to parent ourselves, we can easily return emotionally to that age when the trauma of losing a parent occurred. If we are not conscious of this, we can ‘act out’ in relationship from this age and come from a place of fear. We are then inclined to push people away who are close to us despite their willingness to love and accept us where we are. Most commonly we think of crying as a natural result of grieving. Some people will be able to connect with the emotions immediately — cry, wail, talk about it and process the feelings as soon as they experience death. Some people are able to contain their emotions and get on with their daily lives and then come home and collapse and sob at the end of the day. Some people do not cry as a result of grief. Grief can show up as a heavy depression, making life difficult to manage. One lady I interviewed said she became a hoarder. She wanted to be surrounded by inanimate objects that couldn’t leave her and wouldn’t die. Some people get busy and focus on something else like a hobby, work, getting a pet or new relationship. Other people I spoke with said they moved away from home or sought refuge in addictive behaviours around drink, drugs or food. Self-blame and guilt are major players in the realm of grief. These can be huge burdens to carry if they are not processed therapeutically. Some people might feel relief that a person has died, which can be hard to talk about and make grieving confusing. This is the thing about grief, it is not a linear experience. Elizabeth Kubler Ross outlined the 5 stages of grief 1) Denial and Isolation 2) Anger 3) Bargaining 4) Depression 5) Acceptance and Hope. However, we cannot say that each person experiences of all these and there is certainly no fixed order in which they appear on our grief journey. There can also be a tendency to judge our reactions or compare our process to someone else. And in our usual human fashion, we want to know how long it will take, but we cannot put a time scale on grief. Another issue we face is in supporting someone in grief. We sometimes just don’t know what to say. We want to give advice, tell them to be brave or strong and say how the deceased person would not want us to be upset. I think actions speak louder than words. It really can be as simple as just showing a grieving friend that you are there by bringing them a freshly made meal, listening to them and gently hugging them.. It can be about ‘holding space’ rather than filling it with words. It is not always easy to be with someone who is experiencing great pain and trauma. But if you can, avoid the temptation to fill the discomfort with advice, I personally think this is the best way to be. There is great power in silence. And for the one in grief, there comes a time when people stop asking how you are or they think you should be over it by a certain point. It is important to find the right support system that can partner with you in your process no matter how long it takes — whether that be from a friend, a therapist or a support group. Grief Share, Death Café or Our House are wonderful groups I have recently discovered. I recently learnt about ‘grief bursts.’ This is when you just start crying uncontrollably and cannot stop. I experienced this regularly about 2 years after my Mum died, but I had no idea that I was sharing a commonly held experience. I probably had to excuse myself on three occasions from work because I simply could not stop sobbing. I had no idea that these were a ‘grief bursts’ and I blamed it on the relationship I was in at the time. Looking back, I was so confused and isolated in what I had been experiencing. I used to find my feelings a quagmire, unable to distinguish one area of upset from another. This is unsurprising really as I had shut down a part of myself from the age of nine. I told myself that crying in front of other people was too painful for others to bare, and that I would be strong and stoic and not show my emotions. I have always been particularly interested in how if we do not deal with painful thoughts and emotions by talking them through, these negative emotions can impact our physical bodies. My Mother did not grieve after my father died. She threw herself into work and a new relationship. I often wonder if unresolved grief impacted her in the form of Breast Cancer. The breast is a nurturing part of our bodies, and therefore the connotation of not nurturing herself and her process of grieving could have built toxins that resulted in cancer. The majority of people I interviewed did not seek help from a therapist at the time of a death. Or if they had, the therapist did not identify grief as part of their emotional upset. It appears that people deal with grief in their own personal way. Journaling was my way to excrete feelings. 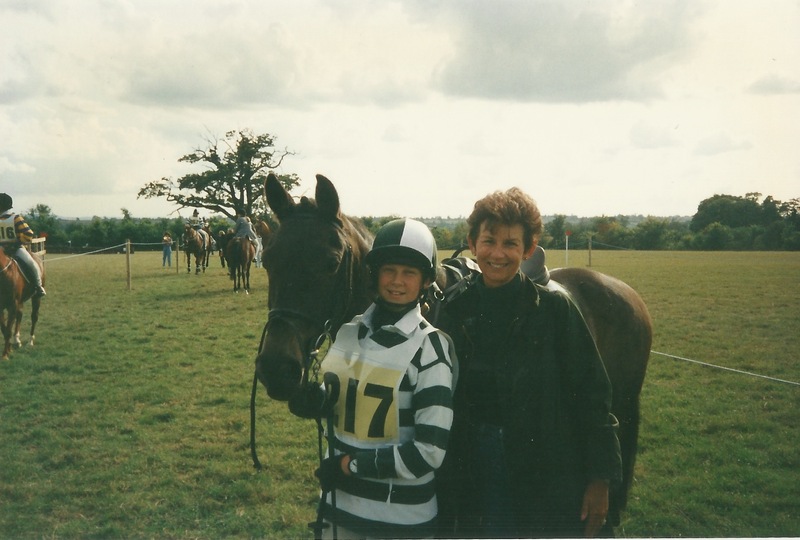 I also immersed myself in horse riding, later on in work, relationships and partying. I started to find friends who had experienced the loss of a parent. We knew we ‘got’ one another, but we did not have talks about our experience with grief. I think the subject was still too sensitive and it was like we did not have the language to talk about it. I think this is because grief is so personal and unique to all of us. We feel as if we have our own secret journey, but actually there are common threads to what we feel and experience. When I was younger, I would often find myself lying that my parents were still alive because I felt bad for the person I was talking to. They may end up feeling embarassed about not knowing what to say to some young girl who’s an orphan. I did it to save them the discomfort of their own reaction. Now at the age of 35, I am comfortable with the fact my parents have died. As we get older, more of us share the experience of death and this experience can deepen and enrich our lives. In fact, grief for some of my interviewee’s was motivational. It gave them a zest to grab life by the balls, bungee jump, travel, move countries, pursue a career in acting and take risks! My personal experience has actually given me a great deal of freedom. I do not have parents here putting pressures or constraints on me to stay put geographically or get a ring on my finger or start making babies. I do very much miss my parents. I wish they were here now, but that was not my destiny. And so I make the best of how it is and I am grateful that my Mum made me fiercely independent from a young age. She showed me how to be a courageous woman, a leader and to pursue what made me happy. The most interesting thing I have learnt through this research, is that most commonly we associate the word grief, with death. But we experience grief in so many other ways. A divorce, children leaving home, not having children, change of job, sexuality, grieving the parents you wish you had had. We are experiencing change and loss in so many ways, but we tend not to honour these changes and nurture ourselves accordingly. I cannot help but wonder whether this could be directly associated with the growing number of people who are depressed. Perhaps if we were processing these emotions, through support groups, coaching or therapy we might find that the shared experiences and connection to other people, might lift the soul and enlighten us, that this is part of our human experience. To feel is to be human. But we want to run far from the feelings, to supress them somehow and in doing so we are not living fully. Nowadays, there are many books and theories to teach happiness, but we cannot understand happy if we do not know the opposite of happy. I believe the most important thing is, not to cut off from your feelings. So the next time someone tells you, don’t be sad, have a drink, have a smoke, take this tablet — put your hand on your heart and say, I’m feeling sad and that’s okay and walk away and find someone to be with who won’t ask you to alter your feelings. I dedicate this piece of writing to my Mum who worried constantly that I never talked about my feelings. At 28, I finally I plucked up the courage to talk, move through the shame, find a therapist and slowly started to unlock my light.